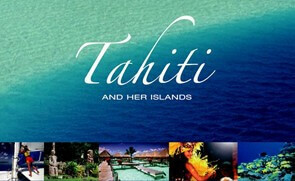 Leave tonight on the vacation you’ve always dreamed of, in the legendary islands of Tahiti. Just 8 hours later and you’re in paradise! Warm Tahitian smiles and a fragrant tiare lei welcome you. Take a short but scenic ferry ride across the Sea of the Moon to majestic Moorea. Settle in at your hotel, take a dip in the crystal clear lagoon, then lay back and get ready for five unforgettable days. Each day offers its own special adventures… bask on a white sand beach, tropical drink close at hand. Take your rental car around Moorea’s 37-mile perimeter road, and explore the interior on an adventurous 4×4 jeep safari. 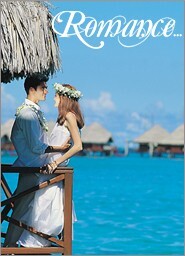 You’ll have no trouble filling your days and nights on Moorea, the perfect South Pacific island. Choose from the 5 categories of hotels, or ask for the latest specials and promotions. Back to Tahiti today, with time enough to head into Papeete aboard le truck, the colorful local transport, for some last-minute sightseeing, dining and shopping..Enjoy the sunset with a final tropical cocktail, or mix with the locals for dinner at the lively roulottes. Your South Seas sojourn comes to an end today, as you board your return flight to California, or your final destination..